Klonopin is a sedative drug that is used to treat a variety of ailments, including seizures and anxiety attacks. It can be used alone or together with other medications, and it works by decreasing the amount of activity occurring in the brain. It can also be used as a sleeping aid. Ten to 20 percent of the world's population use sedative drugs. Because Klonopin is a sedative with tranquilizing effects, it is not uncommon for individuals to become addicted to it. Those who become addicted to this drug may need to enroll in a Klonopin rehab center to get help. If you or someone you love needs help overcoming an addiction to Klonopin, call us today at 1-888-341-7785 for information and support. Klonopin belongs to the family of drugs known as benzodiazepines, and there are many inpatient rehab centers that focus on helping those addicted to this class of drugs. Enrolling in an outpatient Klonopin rehabilitation program is also an option, but inpatient facilities can be more beneficial for those who are struggling to get clean. Outpatient centers are primarily designed for high-functioning addicts who have managed to keep their finances, home life and work life stable while dealing with their drug addiction. If your addiction to Klonopin controls every aspect of your life and makes daily living a struggle, an inpatient Klonopin rehab center may be a better option for you. Residential rehabilitation facilities offer many benefits to individuals undergoing treatment for an addiction to benzodiazepines. At a residential center, you'll receive around-the-clock care, which is especially important during the withdrawal and detoxification process. Trained medical professionals will be readily available to make this process as comfortable for you as possible. Residential facilities also have trained professionals available to assist you with the psychological aspects of your addiction. Klonopin is a drug that is only available in tablet form. Users should take this medication as prescribed, which is usually no more than three times daily. It is also important to take this drug around the same time each day to prevent adverse reactions. Those who do not follow these instructions can quickly form a dependency on Klonopin and may need to enroll in a rehab center. It is also possible for you to build a tolerance to Klonopin if you do not take it as prescribed. Having a high tolerance for this drug means that you need to take more of it to get the same effects, and this can often lead to addiction. The long-term effects of substance abuse can be detrimental to your overall health and can destroy the relationships that you have with your loved ones. -Rehabs.com The length of your stay at any Klonopin treatment facility will depend on the severity of your addiction. Before deciding on a program, you can meet with a counselor to discuss your struggles with addiction in a private, confidential setting. After your meeting, the counselor will likely recommend a 30-day, 60-day or 90-day program for you. Short-term programs are usually intense because you must undergo detox treatments and many counseling sessions within a short period. However, short-term programs have proven to be successful for many people. Your doctor or counselor may recommend a long-term program if you have already been to a Klonopin rehab center and relapsed or if you have struggled with drug or alcohol addiction for many years. If you are not sure about which program you should choose, call us today at 1-888-341-7785 for guidance. The first step that you must take prior to fully enrolling at a drug treatment facility is to talk to an intake specialist. Intake specialists are responsible for gathering all of your information. They also gather information about relatives that they can call on if an emergency situation arises. Intake specialists also explain the rules of the rehabilitation facility and the proper procedures that you must follow at all times. They give you a tour and answer any questions you may have. 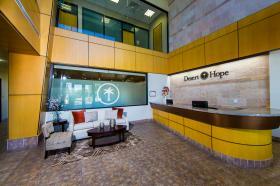 Intake specialists may also give you a few details about the treatment you will receive at the Klonopin rehab center. If the intake specialist is also a medical professional, he or she may explain the detoxification and withdrawal process in detail. If you need special accommodations or specialized care, the intake specialist will make arrangements for you. Intake specialists also deal with payment collections and billing. If you have insurance, the specialist will gather this information from you. If you do not have insurance, you can make payment arrangements during the intake process. Inpatient rehabilitation programs can cost thousands of dollars each month, and many people who are struggling with addiction do not have large amounts of cash on hand. Intake specialists can make payment arrangements for you and can inform you of different programs that can fund your addiction treatment if necessary. If you have more questions about the intake process or are ready to enroll in a Klonopin rehab center, call us at 1-888-341-7785. When work-related circumstances are stopping you or someone you love from getting care for a problem with illicit substances or behavior-related addiction, executive rehabilitation centers will be what you need. By leveraging excellent drug, alcohol or behavioral addiction treatments with the ability to use your laptop or mobile device, a member of the management team can attend recovery while keeping control at your business. Frequently, excellent narcotic, prescription drug or behavior treatment programs provide the excellent amenities one would expect to enjoy only in four and five-star hotels, with your comfort and well-being being the biggest goals. From fine linens and gym facilities to in-house massage therapy and housekeeping services, you can get the highest-quality substance abuse and behavior treatment for yourself or someone you love while enjoying the surroundings. If you need help finding the perfect luxury treatment clinics for Klonopin addiction, dial our hotline free of charge as soon as you're able at 1-888-341-7785. While gathering information on the best inpatient treatment programs, you may find that the best center for you may not be in your local area. If you decide to travel away from home to receive drug treatment, keep in mind that you won't have immediate access to your family and friends. This does not mean, however, that you cannot get through your treatment successfully. Many treatment programs are similar to Alcoholics Anonymous and Narcotics Anonymous in some way, and both of these popular addiction treatment programs have over 15 million members worldwide. 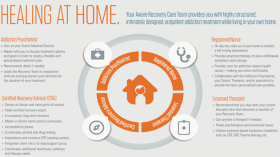 These nationally recognized addiction treatment programs believe in providing avenues that allow those undergoing treatment to support one another. If you choose a program that is far from your home, you will still be able to gain a substantial amount of support from others in your program. Do not hesitate to call 1-888-341-7785 if you want to learn more about drug treatment interventions and the various treatment methods available to those enrolled in a Klonopin rehab center. Worldwide sales of sedative drugs, such as Klonopin, exceeds over $300 billion yearly. Many individuals taking these drugs become addicted to them, so you are not alone. You can prevent your addiction from becoming worse by getting help at one of the many Klonopin treatment facilities available. No matter how much you or your loved one has struggled with addiction, it is not too late to get help. Call 1-888-341-7785 for immediate help.